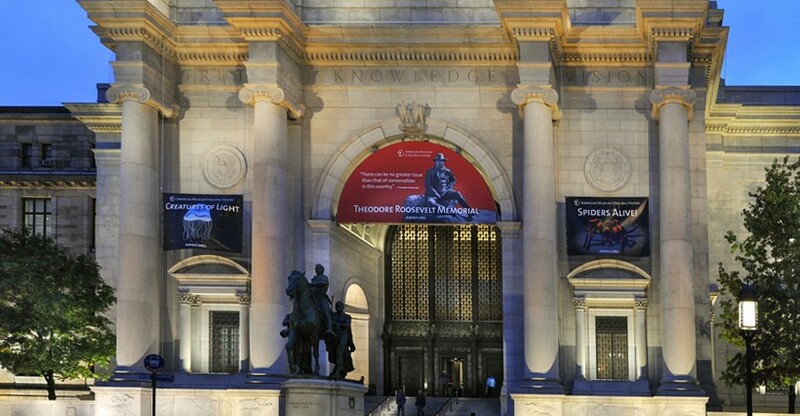 The American Museum of Natural History* takes you on an unforgettable journey of discovery. Travel from the outer reaches of the universe to the inner workings of Earth, and on to an exploration of the range of life and cultures on our planet - all under one roof! 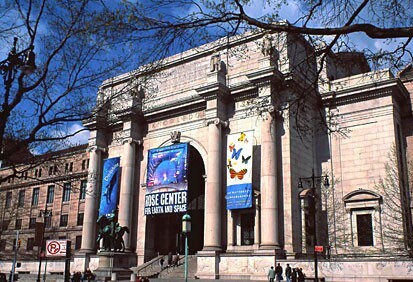 The American Museum of Natural History is a treasure trove of adventures and discoveries for all. 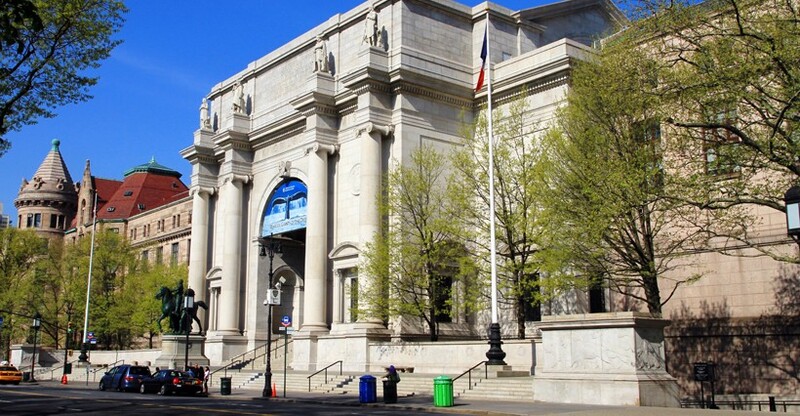 Over 140 years old, with a celebrated tradition of scientific research, exhibition, education and outreach, the American Museum of Natural History is one of the most prestigious and beloved Museums which has the largest collection of dinosaur fossils in the world. And there's always something new to see! This hall has been considered one of the world's great museum displays with 28 dioramas depicting some of the many animals and habitats of Africa at the turn of last century. All the animals have been reconstructed with such scientific accuracy and detail that they appear astoundingly lifelike. It was named after Carl Akeley (1864-1926), the explorer, conservationist, taxidermist, sculptor, and photographer who conceived of, designed, and collected for this hall. These halls contain exquisite treasures systematically arranged according to their physical properties to showcase an extraordinary range of size, color and shape. A highlight is the 563-carat Star of India, the largest and most famous sapphire in the world as well as the Patricia Emerald, a 632-carat specimen that is one of the very few large, gem-quality emeralds that have been preserved uncut. It is the first major exhibition to present, side by side, the mutually reinforcing evidence of the fossil record and cutting-edge DNA research. The hall covers millions of years of human history, from the emergence of our earliest ancestors through the evolution of our own species. It presents a fascinating mix of fossils, film, interactive media, life-size tableaux, ancient artifacts, and more. 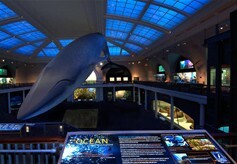 A fully immersive marine environment with high definition video projections, interactive computer stations, and eight new ocean habitat displays. 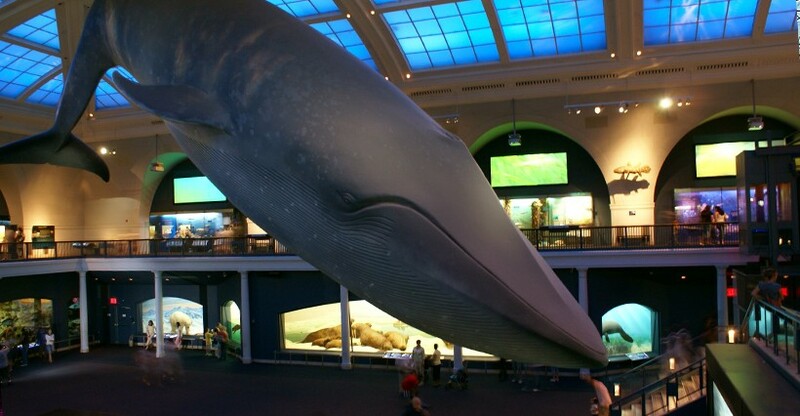 Be dwarfed by the celebrated 94-foot (28.6 m) blue whale, one of the Museum's star attractions, floats in a "virtual ocean" created through dramatic lighting, video and sound effects. The Andros Coral Reef, a two level diorama containing 40 tons (36 metric tonnes) of coral, allows a unique view of this ecosystem above and below the water. One of two halls in the David H. Koch Dinosaur Wing, the Hall of Saurischian Dinosaurs displays fossils from one of the two major groups of dinosaurs. Saurischians are characterized by grasping hands, in which the thumb is offset from the other fingers. 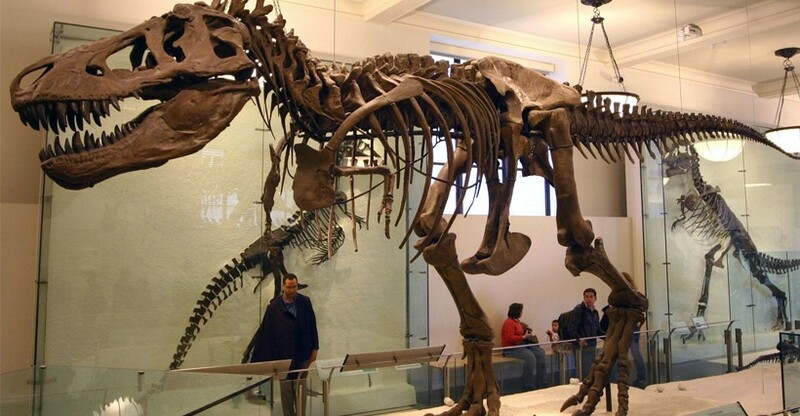 This hall features the imposing mounts of Tyrannosaurus rex and Apatosaurus. 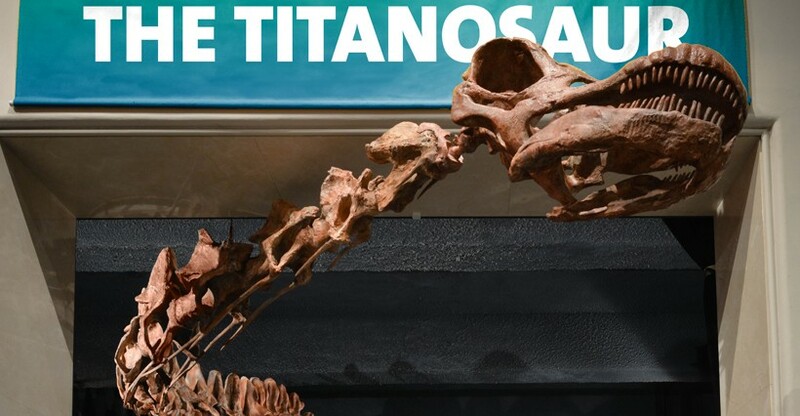 Titanosaur is a 122-foot-long dinosaur found in Patagonia, Argentina. 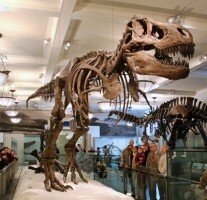 It is to date the largest dinosaur ever known, and you can only see him here at AMNH! 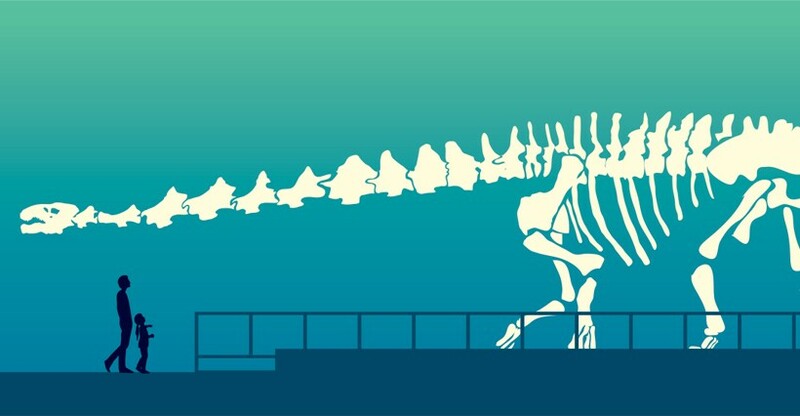 • Belongs to a group known as titanosaurs. 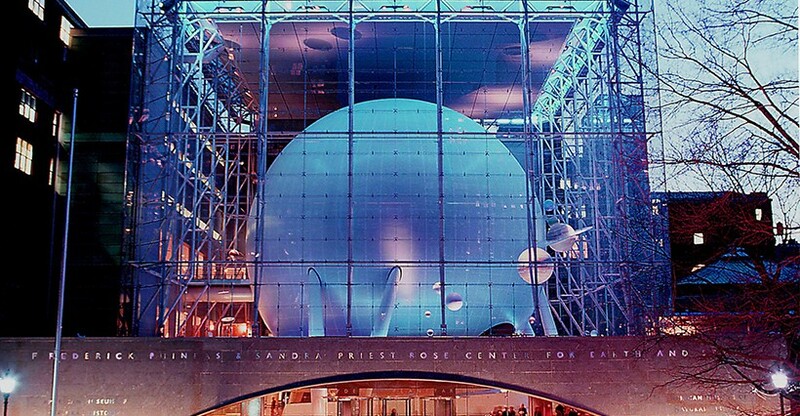 The spectacular Frederick Phineas & Sandra Priest Rose Centre for Earth and Space is a must-see for any visitor to New York. 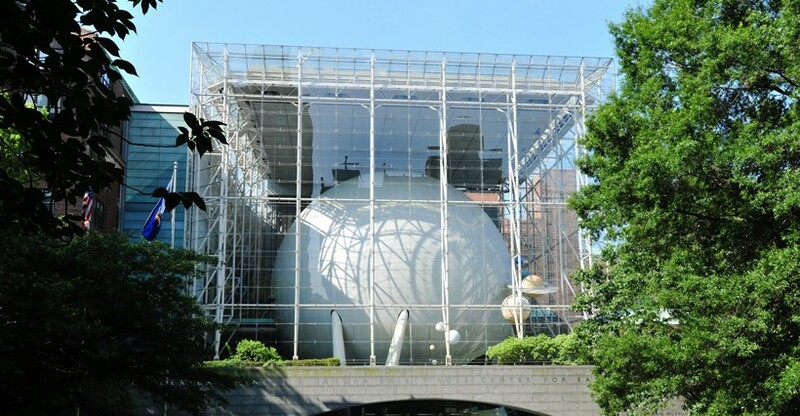 Manhattan's boldest architectural icon is also an inspiring educational attraction that employs cutting edge technology to bring the universe to life for all visitors of all ages. This hall displays an outstanding collection of geological specimens from around the world to show how our planet works. The hall is organized around five major questions: How has the Earth evolved? Why are there ocean basins, continents, and mountains? How do we read rocks? What causes climate and climate change? Why is the Earth habitable? The pathway is a 360-foot-long path in the Rose Center for Earth and Space that spirals from the exit of the Hayden Big Bang Theater to the base of the Hayden Sphere, laying out the 13-billion-year history of the universe. One’s stride is measured in millions of years, and the relative blink of an eye that is the human era is depicted at the end of the pathway as the thickness of a single human hair. Hall of the Universe, located on the lower level of the Rose Center for Earth and Space, presents the discoveries of modern astrophysics. Divided into four zones, the hall covers the formation, evolution, and properties of stars, planets, galaxies, and the universe. The Big Bang presentation takes viewers back to the birth of the universe, through its expansion and cooling, and from the emergence of simple gas clouds to galaxies with stars and planets. Finally, it raises the question of the nature of the so-called “dark energy,” a mysterious force counter to gravity that dominates the modern universe. Open every day from 10am―5:45pm except Thanksgiving Day and Christmas Day. 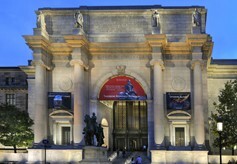 *There is no mandatory admission charge for public entry to the American Museum of Natural History. These museums only suggest, but do not mandate an admission donation. For each entrant to any of these museums, Twin America, LLC makes an agreed upon payment to the museum.